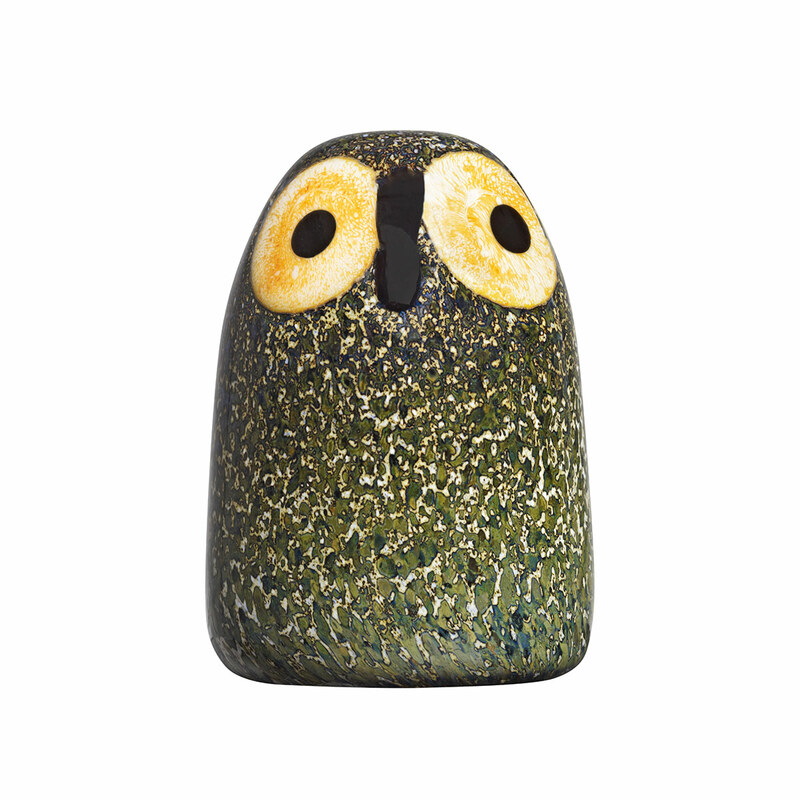 More about iittala Toikka Little Barn Owl Fitting comfortably in the palm of your hand, iittala’s new Little Barn Owl is such an exciting find. 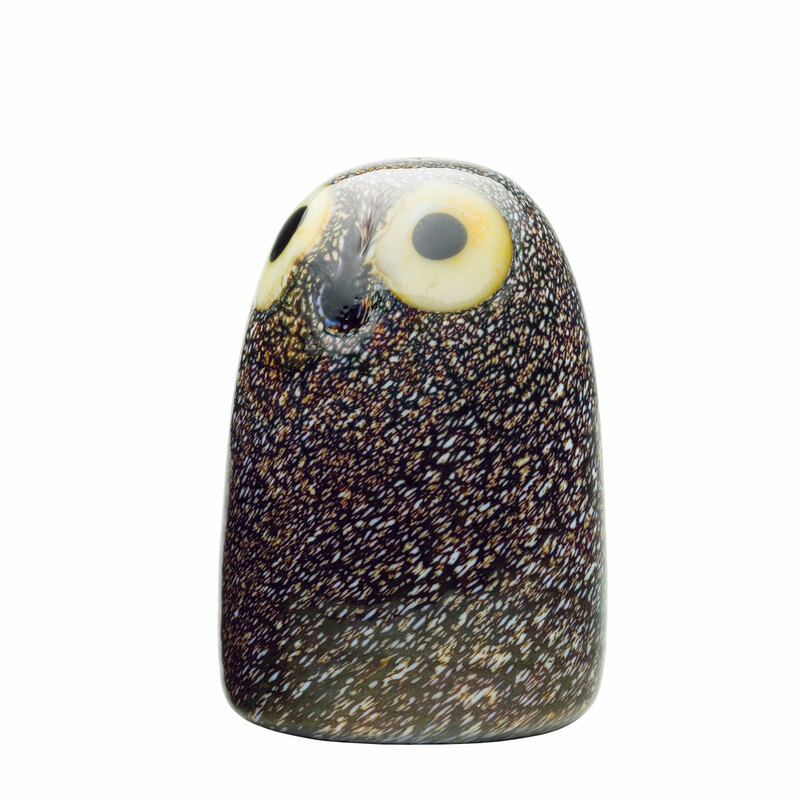 Timid and inquisitive, the Little Barn Owl is an adorable.....Fitting comfortably in the palm of your hand, iittala’s new Little Barn Owl is such an exciting find. Timid and inquisitive, the Little Barn Owl is an adorable complement to the collection of iittala’s other owls, standing at just 2-1/2”. The colors of its camouflaged plumage are a combination of densely spotted browns, blues, greens, and whites. Two large, orange and yellow eyes look behind a slightly-protruding beak. If you look close you can see the signature of the artist, Oiva Toikka, on the base of each Little Barn Owl. Note: The owls are sold individually and each owl is unique-- yours may look slightly different from those pictured, given the individualized nature of the craft. Price is for one bird.